2015 has been a great year in the news for Nantucket. 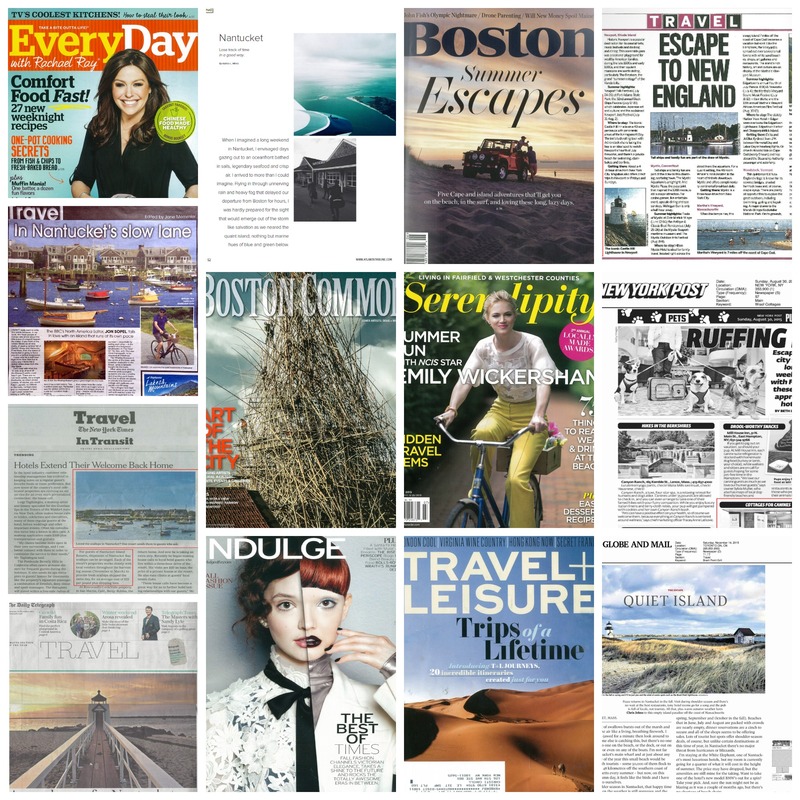 Nantucket Insider shares our favorite press clippings of the past year as we look forward to more people and publications talking us up in 2016! February 2015- Nantucket starts the New Year with some nice main stream press in Everyday with Rachel Ray. A special shout out was given to TOPPER'S "Ocean-to-Table" dining experience with Retsyo Oysters. April 2015- Atlanta Tribune experiences Nantucket firsthand and covers the first of many of the years travel stories focused on In the Heart of the Sea. May 2015- Seasoned Nantucket visitor and writer for Boston Magazine, Courtney Hollands, explains what makes beach driving so unique on this most idyllic of New England islands. 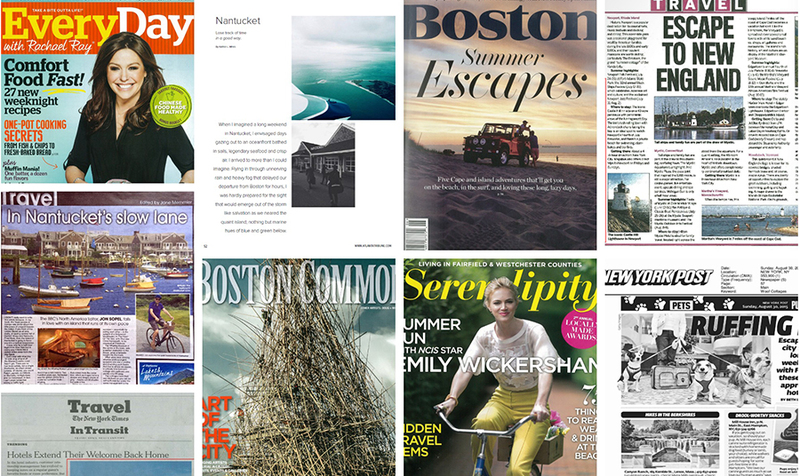 May 2015- Nantucket was also covered in the month of May by popular and trendy New York publication, AM New York in their New England experience - recommending White Elephant among the top places to stay on Nantucket. June 2015- A visit from from UK's influential Daily Express, hails White Elephant and The Wauwinet as must stops on Nantucket. July 2015- Boston Common Magazine features a stunning photo spread of the newly opened White Elephant Loft at 32 Main Street in their July issue. August 2015- The Cottages & Lofts ever-popular "Woof" Cottages are featured in the New York Post's round up of best pet hotels for a summer break. August 2015- Nantucket Insider loves New York and the feeling is mutual with yet another mention in a major NYC publication, this time from The New York Times. The story focuses on special welcomes offered by several Nantucket hotels... September 2015- We love to see stories of Nantucket experiences from farther afield too, and this month delivered with a fantastic Nantucket travel feature in Texas lifestyle magazine Indulge. October 2015- Jared Coffin House made the page in October's Travel + Leisure, as a top place to enjoy a New England fall getaway. November 2015- Canada's Globe & Mail spent time on Nantucket in October and followed up with some lovely fall coverage, praising the island's less traveled season and special seasonal activities at The Wauwinet too! December 2015- Another fantastic feature from the UK hit in December with The Daily Telegraph's very detailed feature on Nantucket travel, highlighting the island's historical appeal and of course right in time for Nantucket's big moment on the silver screen as the release of In the Heart of the Sea is teed up.